The UK is "anything but Islamophobic", so spoke a Muslim organisation head in a comment to the press on the Islamophobia Awards in 2004. Because, he added, Britain has such a vibrant anti-war movement. 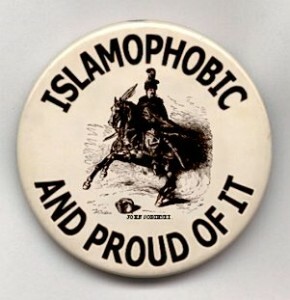 The awards – a satirical revue and fundraiser inspired by Amnesty International's Secret Policeman's Ball - were described that year by the then head of the Commission for Racial Equality (CRE) as an important step to "fight bigotry and prejudice against Muslims". Both the Muslim organisation head and CRE head have now swapped positions, but this tale is instructive because of the more than one elephant in the room when talking about Islamophobia. These "elephants" provide the backdrop to the latest report on the UK for the Counter-Islamophobia Toolkit project led by the University of Leeds. The report and those of the seven other countries in the project lists the 10 main counter-narratives (in each state) to Islamophobia being deployed or demanded by those concerned with addressing racism. The 10 narratives come out of desk research but mainly interviews with over 180 activists, academics, journalists, politicians, religious figures and other actors across the UK, France, Germany, Belgium, Greece, Czech Republic, Portugal and Hungary. They are summarised here. A few will be referred to below in overviewing the recommendations to civil society, institutions and the state that the report has produced. Specifically, understanding the nature of the problem we face when it comes to anti-Muslim hatred, and then how to counter it, who should counter it and indeed why we (any of us) should.